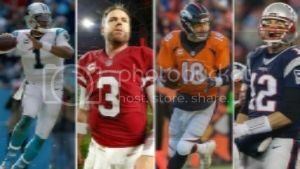 Two of these great quarterbacks are about to play for the last time this season. One may be playing his last game ever. This comes from Mrs. Gapinski. 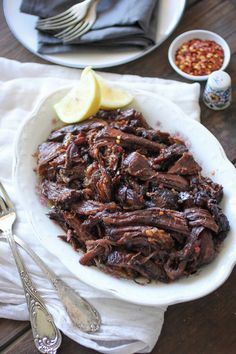 -Once roast beef has cooked, remove from slow cooker with tongs into a serving dish. Break apart lightly with two forks and then ladle about ¼ - ½ cup of gravy over roast beef. -Store remaining gravy in an airtight container in the refrigerator for another use. 1. You can also experiment with ranch dressing mix for added flavor. We have done that and added sweet peppers for another incredible version. This is an easy recipe that you can go many ways with. 2. This meat is good in sandwiches and can get as soft as pulled pork with a nice, slow cook. 3. For simple sides and a traditional dinner, we recommend asparagus and mashed potatoes. 4. Dinner rolls are an option for picking up that remaining flavor left on the plate. Ba's Balsamic Beef feels like a dish deserving of a really hearty brew. Goose Island Brewery (Chicago) has put out a stout so outstanding it defies words. You have to try this stuff. Rich Gapinski, Patrick Sullivan, and Matt Kocsan are staff writers at FootballPros. Each week, they pick the most difficult games based on the Tuesday morning lines and produce this column for their—and hopefully your—amusement. You can follow them on twitter @PolishedSports (Rich), @GoBigOrGoHome2 (Patrick), and @kocsan (Matt). Oh, in case you have not yet figured it out, these guys are a tad crazy about food & beer. Especially food. And beer. I've never seen Brady beaten up like we was today. Also, I'm trying the beef tomorrow. Shoveled out just so I can get out and get everything I need to make it happen. OK, so that's not why I shoveled, but it's a side benefit. Looking forward to trying it, it looks and sounds really good. I've long since stopped. I went out at 3 AM to give me 12 hours before the start of the game. I was able to catch the 4th quarter. vodka tonics, All good. Life goes on! I severely underestimated the importance of Tyrann Mathieu, the problem with Jared Veldheer being your best blocker, the apparent difficulty of knocking Ted Ginny around early, and the overall explosiveness of the Panthers. And Brady looked like a young Todd Collins most of the day. @Rich, just wanted to say I did up the balsamic beef recipe using a boneless pork loin (because I keep pigs and chickens, not cows, in my freezer) and it turned out fantastically. First night rolled up in a warm flour tortilla, with shredded pepper jack and my homemade pico de gallo. Leftovers stirred-fried with onions, bok choy, ginger and water chestnuts. Please pass along kudos to Mrs. Polish. Thank her muchly. We did the beef as written. It's already a new house favorite. Tasted even better the next day as a sandwich. Really glad you enjoyed it in so many ways. That is the amazing thing about this simple recipe. I will share and thank you again for trying it. This is still our usual way-- dinner at night and sammiches for lunch next day. Glad you have added it to the family list.